Sky Regional Airlines requires experienced First Officers for vacancies on the Embraer 175 aircraft. Positions exist at both the Montreal and Toronto crew bases. 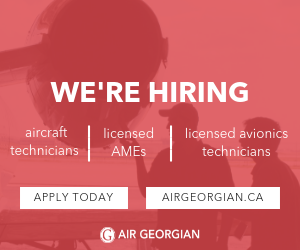 Applicants must have a Commercial Pilot License with SARON, SAMRON or equivalent exams written. Preference given to those Pilots who have EFIS/FMS experience, P.I.C. experience on high performance multi engine aircraft and/or experience at high density USA airports. Please write 'Embraer First Officer' in the subject line. What's the salary for a first year E175 First Officer? Location: Wherever i can spot the morning star. Better than Jazz or Encore. Comparable to first years at mainline with faster upgrades. I’d rather be there than a new FO at WestJet or Air Canada if I wanted to preserve my marriage or afford alimony... lol. It's up to you if you wanna compare towels with cloths. No one is getting divorced here coz they want you to be single when you apply . Last edited by Sharklasers on Thu Feb 07, 2019 5:09 pm, edited 1 time in total.